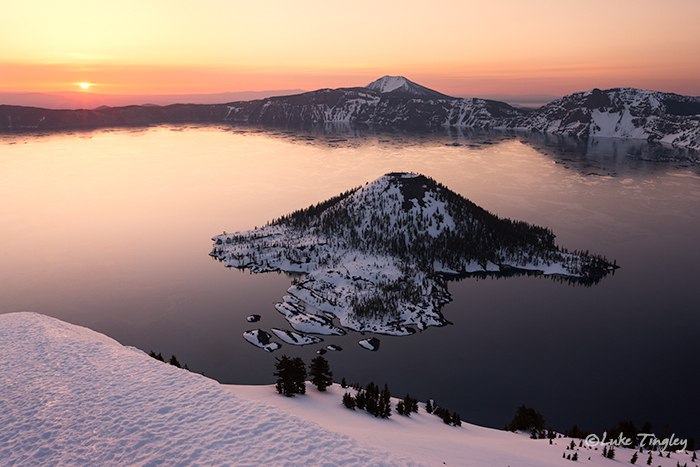 Sunrise on a beautiful morning at Crater Lake National Park. We snow shoed in the day before and camped near the top of the Watchman. We had a front row seat to a beautiful sunrise overlooking Wizard Island. Photo © copyright by Luke Tingley.